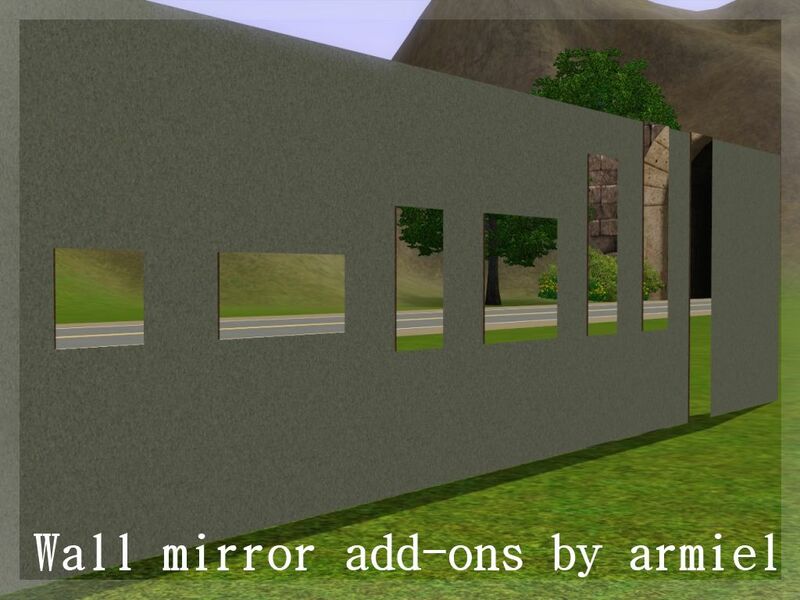 I made 7 new mirrors as add-ons to my earlier pack . 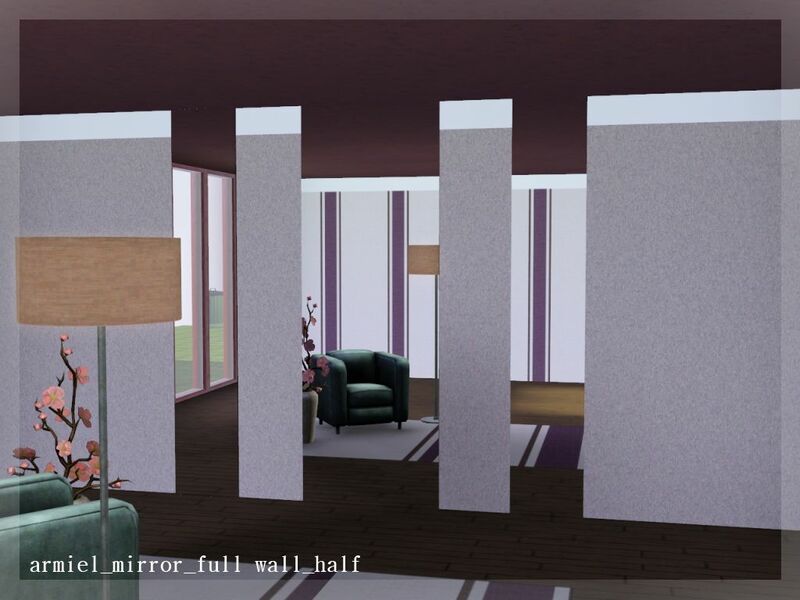 All of them can be found in decorations - mirrors. 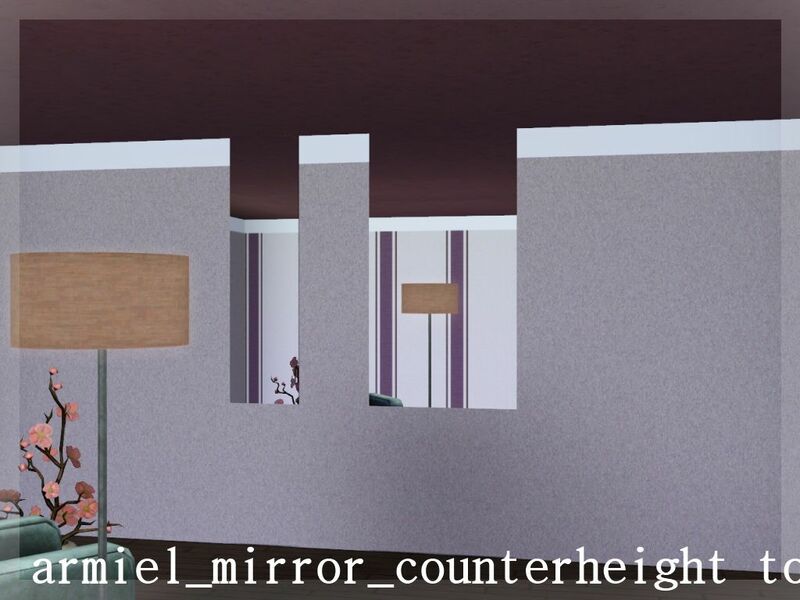 Each have one recolourable channel, the sides, and they all have one preset. 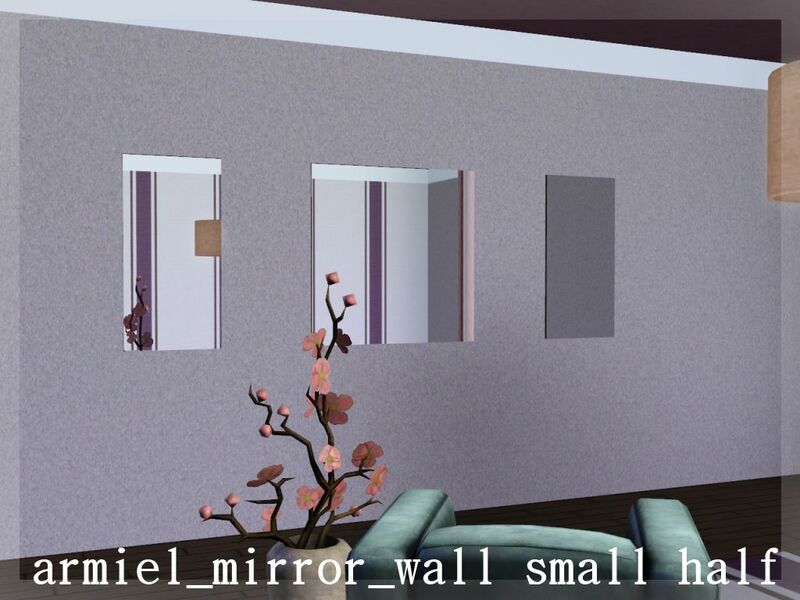 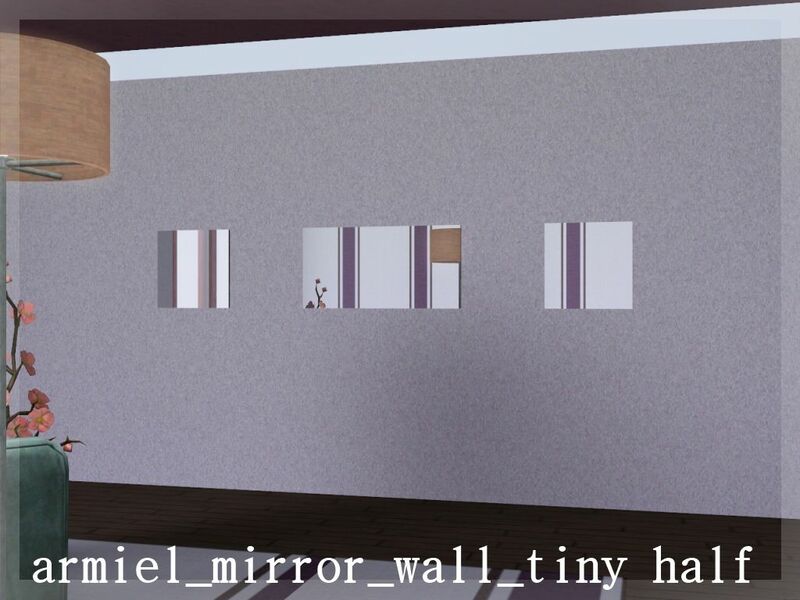 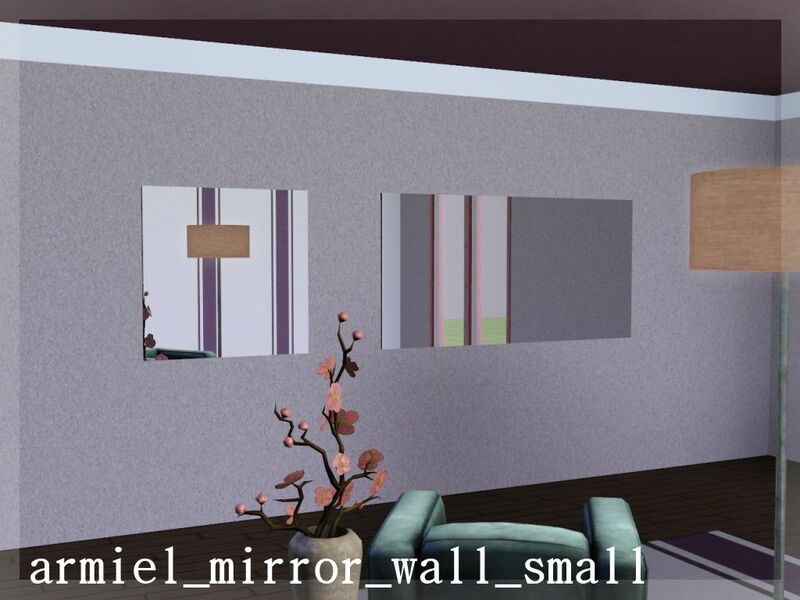 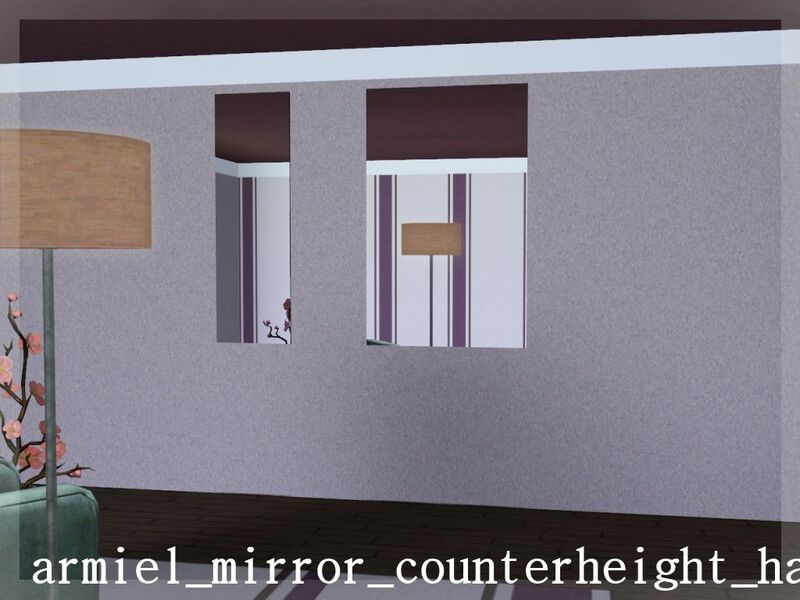 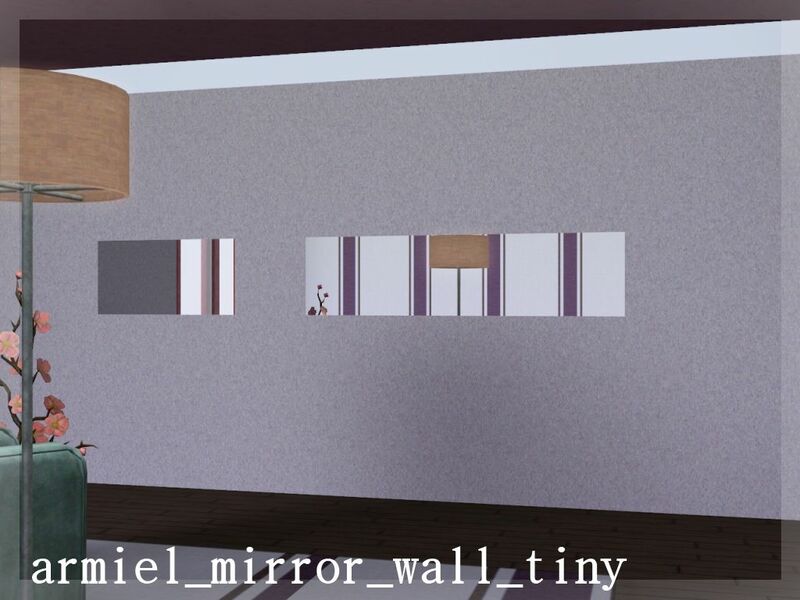 Mirror wall tiny half, Mirror wall tiny, Mirror wall small half and Mirror wall small can be moved up and down on the wall, if you have patched your game to at least 1.17. 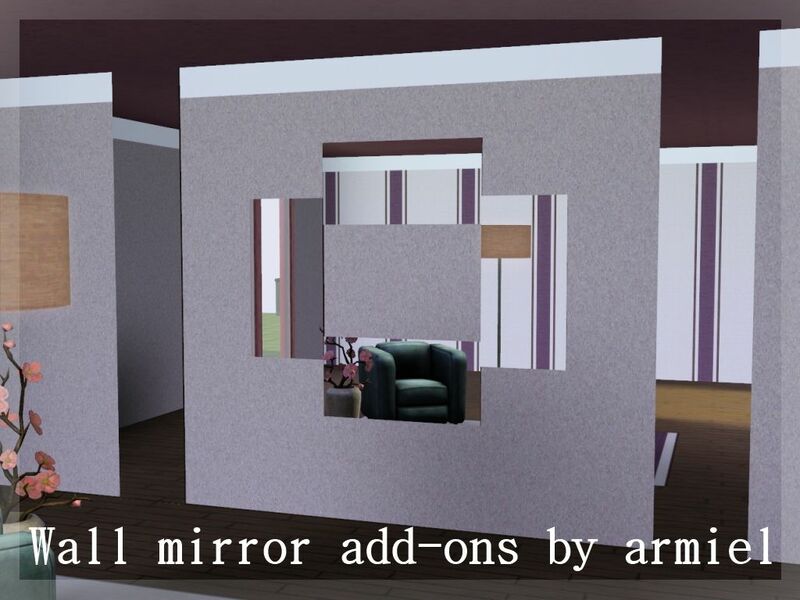 All mirrors have same polygon count. 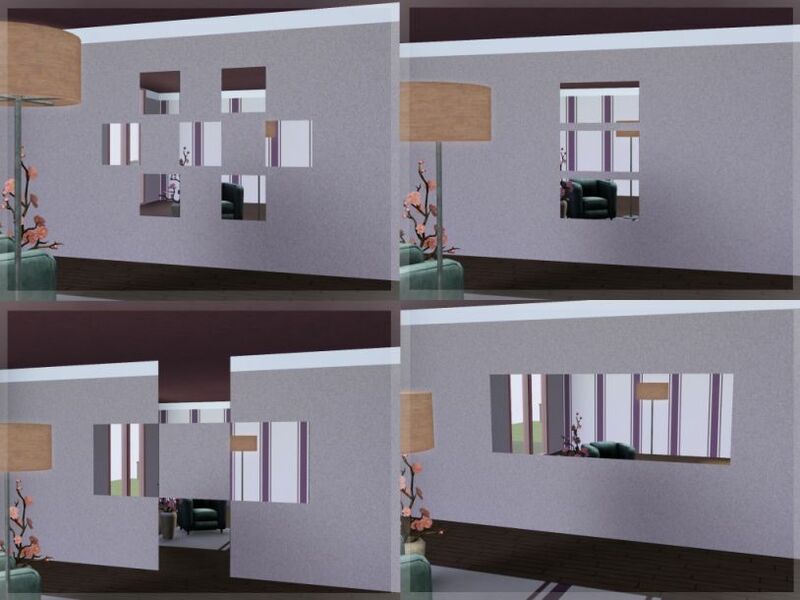 Milkshape, TSRW, Photoshop and Paint.NET for being programs I used to make these.